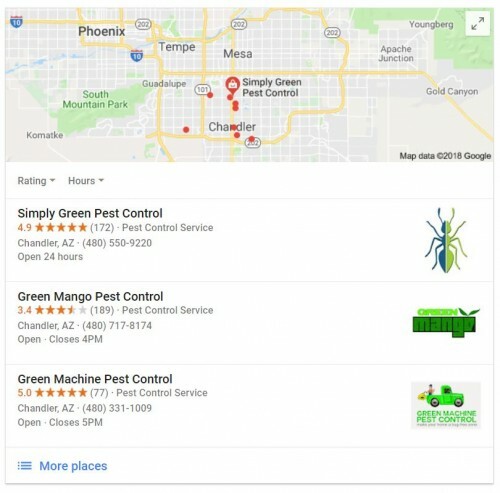 When it comes to the Local Pack just beneath the map, an astonishing 50% of people said that their clicks on these business listings were primarily motivated by the review rating appearing in the Local Pack listing. Not only that, but the number of reviews was cited as the second most important reason. If your competitors are beating you on strength of reputation, you’re likely to be losing out. This highlights how critical your online reputation is to clicks through your listing. You might be doing everything else you can to appear in the Local Pack for relevant search terms, but if your competitors are beating you on strength of reputation, you’re likely to be losing out on clicks.